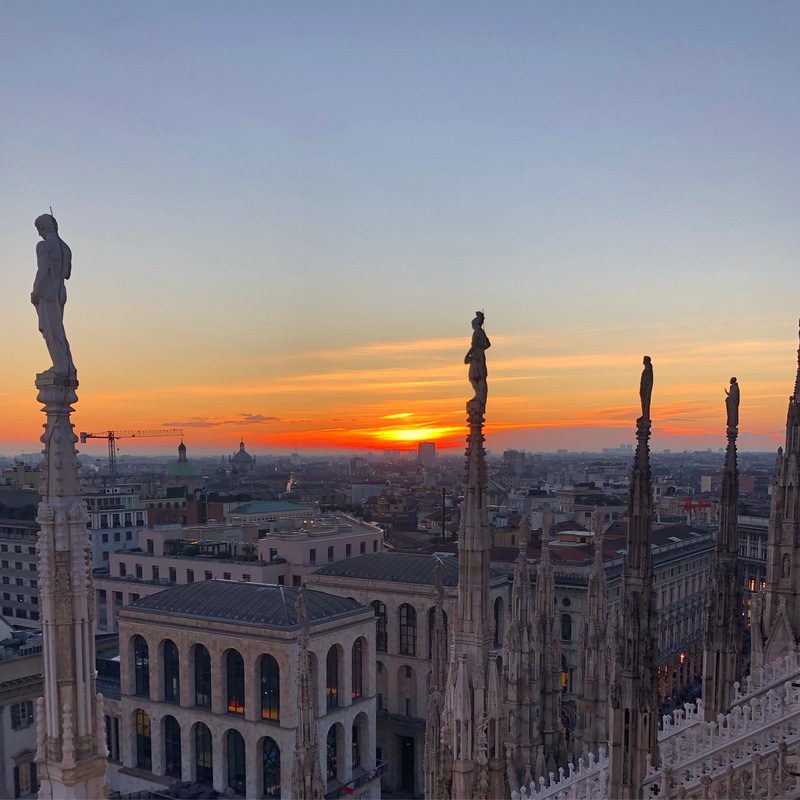 This past month I have been traveling like crazy around Europe. With travel being so close and priced well throughout the UK and Europe, you would be crazy to not take up these opportunities while abroad! I recently visited Munich. The weather was perfect with spring temperatures and plenty of sunshine. It was nice to escape cloudy/rainy London for the weekend! Munich is part of Bavaria, so the whole town is colorful and lively and still very traditional. Also, the food was amazing! Bavaria is known for its pretzels and I probably ate about six that weekend. 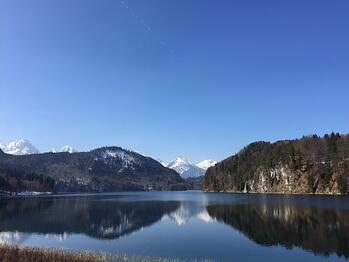 One of the days I was there I took a day trip to Neuschwanstein Castle. 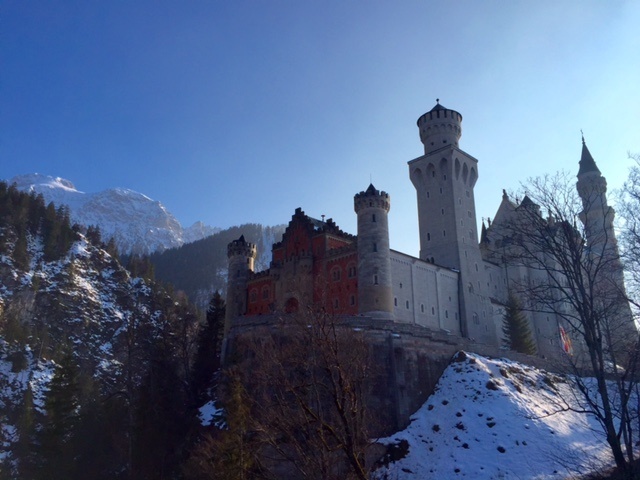 The train ride was about two hours from Munich to Schwangau where the castle is, and if you are ever in Germany I highly suggest you take the day to visit the castle! Neuschwanstein Castle is known as the fairytale castle. You may recognize it because for Disney World and Disney Land, Disney based Cinderella and Sleeping Beauty’s castles on Newschwanstein! A fun fact about the castle is that an architect did not design it. King Ludwig II who had it built asked a painter to paint him the castle. This is what made the castle so beautiful and whimsical looking. Once we got to the town of Shwangau the first thing you see is the castle sitting on top of the hills with the Alps in the background. At the bottom of the town there is a beautiful lake. I couldn’t believe what I was looking at. It was almost unreal. After we walked around the lake for a bit, we took a horse and carriage ride up to the castle. You can only imagine that I felt like Cinderella riding up to the castle in a horse and carriage. Once at the top of the hill we walked up to the castle and it was just absolutely breathtaking. Every dream I ever had of being a princess when I grew up had come true that day. We toured the castle and then spent the rest of the day exploring around the town looking for the best views of the castle to take pictures. Unfortunately, the amazing photo you see when you Google it is impossible to get without a helicopter. 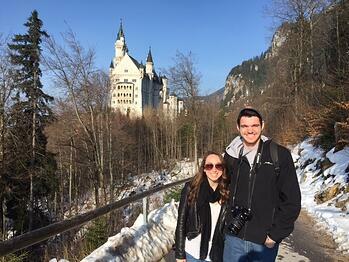 Walking around Schwangau and seeing the castle felt like I was inside a fairytale book. I didn’t want to leave it was so perfect there! I hope to go back there one day to relive my childhood princess dreams.